Every year City Council, the City Manager and City staff work together to develop an annual budget. The budget serves as an outline for how the monies that come into the City of Kelowna should be spent to maintain and improve the City. As the City is limited by the amount of resources available, the budget helps in determining which objectives have the highest priority and will produce the greatest positive impact in the community. Decisions are guided by the City's financial principles and strategies. 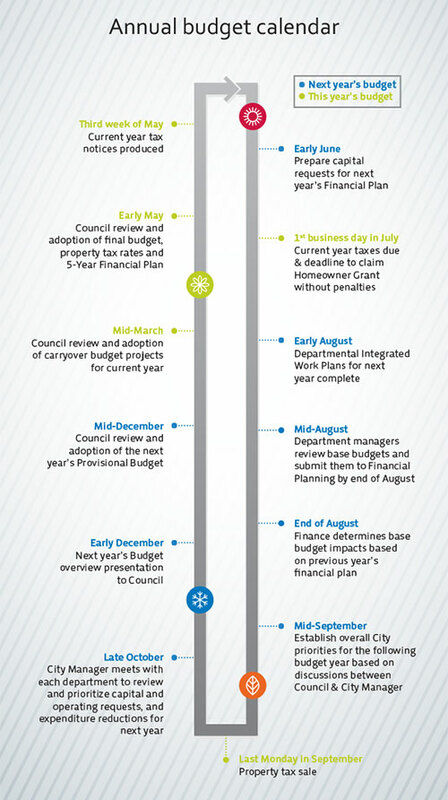 Check out the Document centre for links to the plans that influence the budget.